Throughout its long geography, Chile gathers several World class destinations for the practice of Winter Sports, most of them in hidden and privileged corners of the Andes Mountain Range. In a Winter that has already started and this year is turning out to be very harsh, the Undersecretary of Tourism Monica Zalaquett along with James Ackerson, President of the Asociacion de Centros de Ski de Chile, officially inaugurated the Winter Tourism Season 2018 in La Parva Ski Center, very close to Santiago, the Chilean capital. Ackerson informed that for this season an approximate number of 1,400,000 visitors is expected, well above the 1,003,000 of the last year. The good expectations are based on the strong investments that the associates of the Asociacion de Centros de Ski de Chile have made recently, US $ 80 million in the current triennium, with the help of the large amount of snow accumulated so far and the prospects that the conditions of successive cold fronts will continue for the rest of the season. Another relevant comparative advantage is that Winter Centers in Chile are within a short distance of important cities such as Santiago, Chillan, Los Angeles, Temuco, Pucon, Osorno, Coyhaique, Punta Arenas. For its part, essential for elite skiers is the quality of the snow in Chile, given that the main slopes are over 2,000 meters. Not for nothing, national teams from Europe and the United States come regularly to train here during their off season. 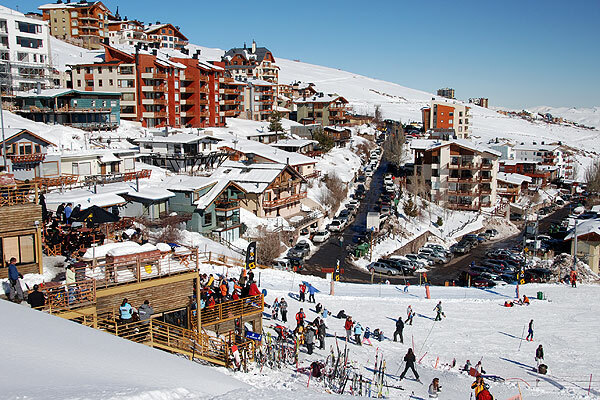 La Parva, modern Ski Resort and cozy mountain village, located 2750 mts. above sea level in the Cordillera de los Andes, 50 km from the capital of Chile. La Parva is a complete Winter Center, equipped with all the necessary services required by a World-Class Complex, modern buildings, more than a thousand shelters and a privileged view of the Valley of Santiago. Valle Nevado, one of the most modern Winter Centers of the continent, located 46 km East of Santiago, on the slopes of Cerro el Plomo, Cordillera de Los Andes. It is close to other important Winter Resorts such as El Colorado and La Parva, forming a trilogy known as "The Three Valleys of the Andes", which offer varied possibilities for mountain activities, together make up the largest ski area of South America. El Colorado - Farellones, another World class high mountain center, located between 2,500 - 3,500 meters. above sea level. One of the most popular Winter Resorts among Chileans and one of the oldest in the country, a little over 1 hour (39 km) from the city of Santiago. Just like the neighboring facilities of Valle Nevado and La Parva, El Colorado has excellent cuisine and hotel infrastructure, the ski equipment can be rented on site or to lower costs it can be hired to specialized providers of Santiago. 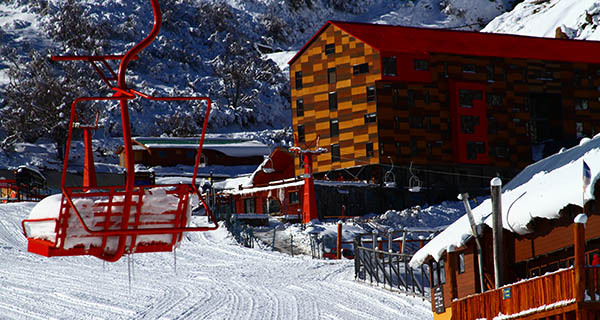 Portillo Ski Center, the oldest center of its kind and one of the most prestigious in South America. In 1966 it hosted the Alpine Ski World Championship and until today, many important teams in the world train on its slopes., here have been beaten World records of Speed Skiing. Located in the Valparaiso Region, 2 hours (164 Km.) from Santiago and close to the city of Los Andes. Its natural environment is the Cordillera de Los Andes, 2880 meters. above sea level, without large shopping centers or cities nearby. Next to Hotel Portillo you can visit another natural attraction, the beautiful Laguna del Inca, of emerald waters which offers a wonderful landscape. Nevados de Chillan, beautiful Mountain Resort, Ski Center and Hot Springs surrounded by native forests, at the foot of a complex of 3 volcanoes called Nuevo, Viejo and Nevados, 82 Km. South East of Chillan, capital of the recently created Chilean Region of Ñuble. Nevados de Chillan was chosen the "Best Ski Center of Chile 2017" and one of the 25 Best Winter Resorts in the World by the World Ski Awards. Its infrastructure is distributed in an area of 560 hectares, comprising 2 Ski Centers, Nevados and Valle Hermoso family recreation center, 2 Mountain Hotels, Nevado and Alto Nevados, more than 30 slopes of different degrees of difficulty, among them the piste called Las Tres Marias, the longest in South America, 13 ski lifts, 8 Hot Spring Pools, delicious cuisine, all in a privileged natural environment. Nevados de Chillan is famous as a Winter Center but because of its varied tourist offer that includes Thermal Spa and Hydro Therapy, Clay Baths, Bike Park (open only in Summer), Canopy, outdoor excursions, etc, etc. can be visited throughout the year.